Drop shoulder style. 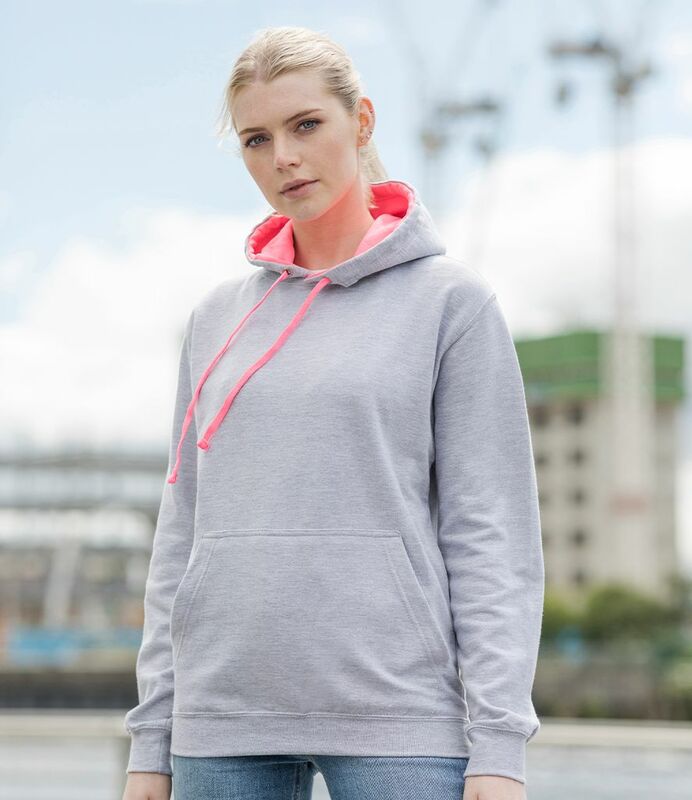 Double fabric hood (lining 80% polyester/20% cotton) with contrast inner in electric colours. Contrast flat lace drawcord. Front pouch pocket. Ribbed cuffs and hem. Twin needle stitching. Tear out label. WRAP Certified Production.